I have thought about making these for a while and then as cacao is not AIP friendly forgot about them. The other day I had lunch at the Paleo Cafe with my friends Sharon and Lyn and Sharon brought out her secret stash of bounty bars for us for dessert! I was re-inspired to give them a go. Glad I did! Blend all ingredients in a blender or food processor until just starting to come together as a paste but don’t over process as you still want to have some of the texture of the desiccated coconut. 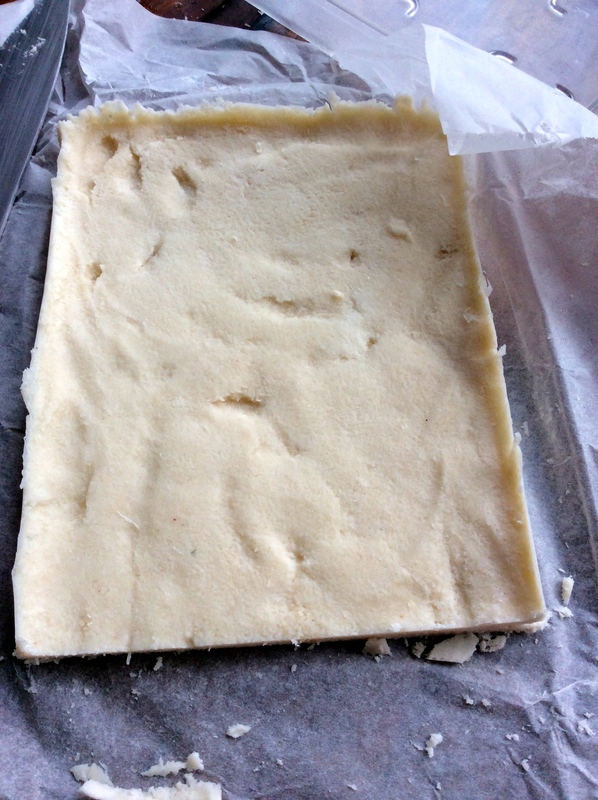 Press into rectangular container lined with baking paper (I used 15cmx22cm) or into rectangular shape. Freeze until solid. Place all ingredients into a saucepan and gently stir over medium heat until combined. Cool but don’t refrigerate before dipping. 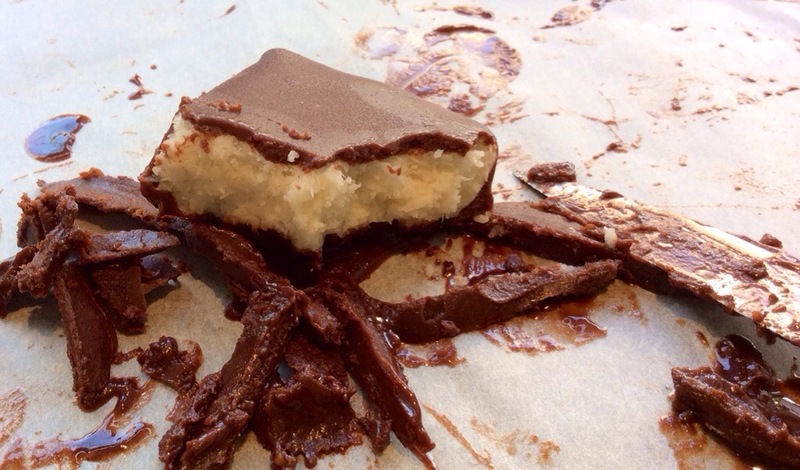 Dip each piece of the coconut centre into the chocolate sauce and lay out on baking paper. Put in the fridge/freezer until set and repeat at least twice to get a decent coating of chocolate. Trim the ‘drippy’ edges of each bar with a sharp knife. 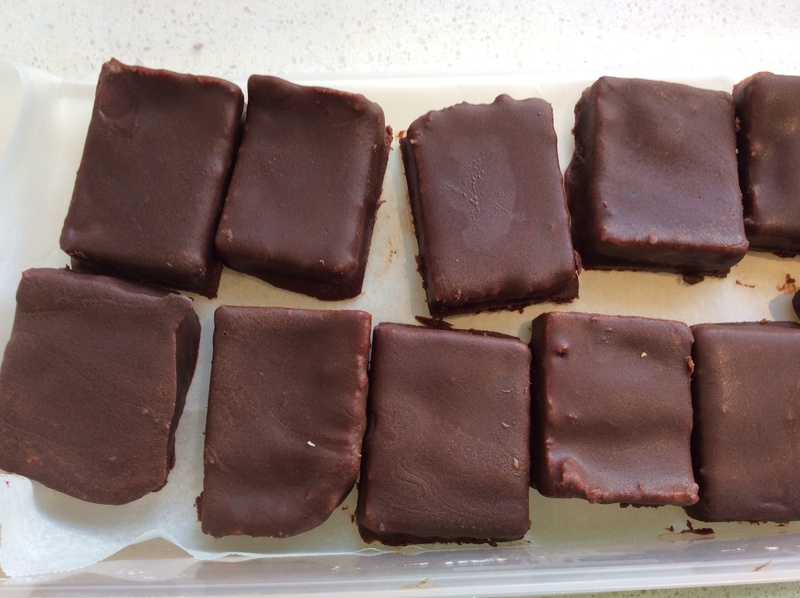 Bounty bars do need to be kept in the fridge (or freezer) and remove just as you want to eat them as the chocolate sauce will melt at room temperature in warmer weather. Any leftover chocolate sauce can be kept in a jar in either the fridge or at room temperature. « What is the auto immune protocol (AIP)? Hmm, these are great, thank you!